This post contains potential solutions to #iMessage activation error and other relevant issues with iMessage, which has started to occur on the #Apple iPhone 6s Plus (#iPhone6sPlus) after iOS 9 update. 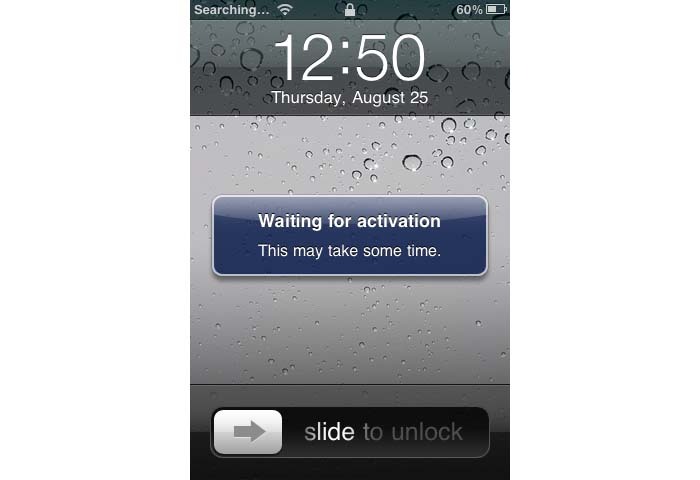 Learn how to deal with the iMessage ‘waiting for activation’ error using both Apple-recommended procedures and workarounds used by other iPhone owners who have dealt with similar trouble on their device. One of the most important tools embedded into Apple’s iOS devices including the iPhone 6s Plus handset is the iMessage. With this application, iDevice users are able to send texts, documents, photos, videos, contact detail, as well as group messages through different forms of Internet access such as Wi-Fi and mobile phone Internet access. While apps like iMessage are designed to be sturdy, it doesn’t mean they are totally immune to problems. After all, iMessage is a program, which means it can sometimes get errors. Just like what happened after the most recent iOS update, in which users have ended up with a number of faulty apps including iMessage activation error while others couldn’t get the iMessage to work on their iPhone. Below are a few relevant symptoms affecting the iMessage tool on the iPhone 6s Plus and other iDevices after iOS 9 update. If you’ve have encountered any of the above-listed symptoms, the following are potential solutions you can try on. Before you begin, make sure your iPhone has Internet access and that there are no connectivity issues either on cellular or Wi-Fi. Please note that need to have a stable and working network for iMessage to work properly on your device. If everything is good with your phone internet, then you may now proceed with these subsequent methods. Method 1: Turn iMessage and FaceTime off and on again. Turn off FaceTime. (Must-do if FaceTime is not working). Try to use iMessage again and see if it’s now working. Navigate to your iPhone Settings. Scroll down and tap Send & Receive. You should then see your Apple ID attached in the first column. Continue by tapping on your Apple ID. Toggle your Wi-Fi or Cellular Data off and then back on. Launch iMessage again and see if it’s already working. Method 3: Ensure your phone number is listed in your contacts. Your phone number must be in the Contacts list for iMessage to work properly. Open your contacts and make sure you see your own phone number on the upper part of the contacts. Usually, it’s labeled as My Number. If you don’t see your phone number, then add your number by going to Settings-> Phone-> My Number, and then enter your phone number. Method 4: Verify date and time settings are correct. Verify date and time settings are properly configured. Firmware updates can sometimes mess your phone’s current settings, requiring you to reconfigure them after the update. That said, check your iPhone’s date and time display and make sure both the date and time are set correctly. You can also set the date and time to ‘Automatically’ by going to the General settings. Method 5: Toggle Airplane Mode on and off. Scroll down and look for Messages. Under Messages, disable or turn off iMessage and FaceTime. Open the Control center by swiping up from the Home screen. Tap to enable or turn on Airplane Mode. Wi-Fi should be disabled or turned off. After the restart, turn on Wi-Fi. Go back to Messages, and then turn on iMessage. If prompted with a notification that says, ‘Your carrier may charge for SMS’ tap OK to proceed. Turn off iMessage and then after a few seconds, turn it back on. iMessage should then be activated in a short while. Another suggestion is by resetting all settings on your iPhone. Resetting all settings won’t delete personal contents from your device. However you will need to re-configure some minor settings to your preferences such as ringtones, wallpaper, etc. To reset all settings on your iPhone, navigate to Settings-> General-> Reset all settings. After doing so, reboot your iPhone and then try using iMessage again. Meanwhile, if you are having trouble sending messages to groups of people, try to start a new group message instead of continuing the old one. If that doesn’t work, then try to reset the network settings. To do so, go to Settings-> General-> Reset-> Reset Network Settings. If problem continues after performing all the aforesaid workarounds, please contact Apple Support or your carrier, escalate the issue and ensure there are no restrictions imposed on your iMessage, such as blocks, or message filters. You can also ask for any other options available for you. In some cases, you may need to get a new SIM card for the iMessage to work. But that should always depend on your carrier’s recommendations. We are here to help! Should you need further assistance in dealing with other issues on your iPhone or other iDevices, you can reach us through this form available in our Troubleshooting Page. Simply fill up the form with all the required information and then submit it to us. We would appreciate if you could provide us with all significant details including error codes, warning messages, or any other prompts you may get, as they will help us determine what has possibly gone wrong with your device and what needs to be done in order to fix it. The more information we have the easier for us to come up with a more precise and efficient solution and recommendation for you to try on. You may also browse for more solutions to other iDevice issues we’ve previously addressed through dedicated contents posted in our troubleshooting pages.